Meemure is a village in Sri Lanka with a population of about 400. 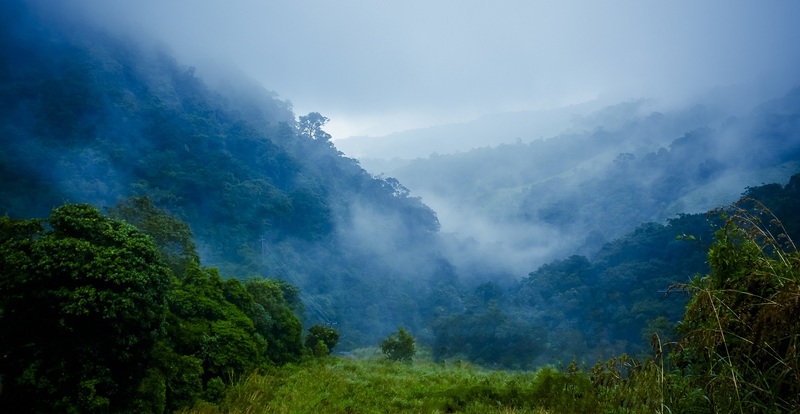 It is located near the border between Kandy District and Matale District in the Knuckles Mountain Range. Meemure is one of the most remote villages in Sri Lanka with the only access via a 14 km (8.7 mi) trail from the town of Loolwatte. There is no cellular service available in the village, but a CDMA telephone service is available. There is no direct mail delivery to the village; a villager journeys each day to Thapal Junction to exchange incoming and outgoing postal mail with a postman. Lakegala mountain is in Meemure village. It is considered the place where King Ravana lifted the Dhadu Monara or Dhandu Monara. Residents of the village depend on several staple crops including pepper, cardamom, paddy and ginger. Meemure village owns an exceptional natural beauty. It is rich with natural Beauty and Traditional Sri Lankan styles. The distance from Colombo capital to Meemure is about 175 km. Meemure is approximately a 7 hour drive from Colombo, in an off road vehicle. Here is how you can go there; First go to Kandy city which is 116 km away from Colombo. Then Kandy-Mahiyangana Road (A26) towards to Mahiyangana. Turn to Left from Hunnasgiriya Junction which is 35 km away from Kandy. Then go towards the Loolwatte Village which is 15 km away from Hunnasgiriya Junction. Then from Loolwatte it is about another 15 km to the Meemure Village.you can use village public van it is a marvelous experience to have,to that you should be at Hunnasgiriya junction around 11 clock. Hiring vehicles from Hunnasgiriya would be more expensive than village vehicle. The nearest Police station is Teldeniya Police. On your way to Meemure from Colombo you can see many natural sceneries; among them Hulu Ganga (River), Victoria Reservoir, Teldeniya New Town (Teldeniya was flooded in filling the Reservoir behind the Victoria Dam, Mahaweli Project), Dothalugala Forest and Botanical Garden, Mini Worlds End, Coberts Gap (Attala Mottuwa) a place where lot of wind blowing to the other side, Meemure and Lakegala Mountain where, according to legend, King Rawana lifted his Air Plane called Dhadu Monara. 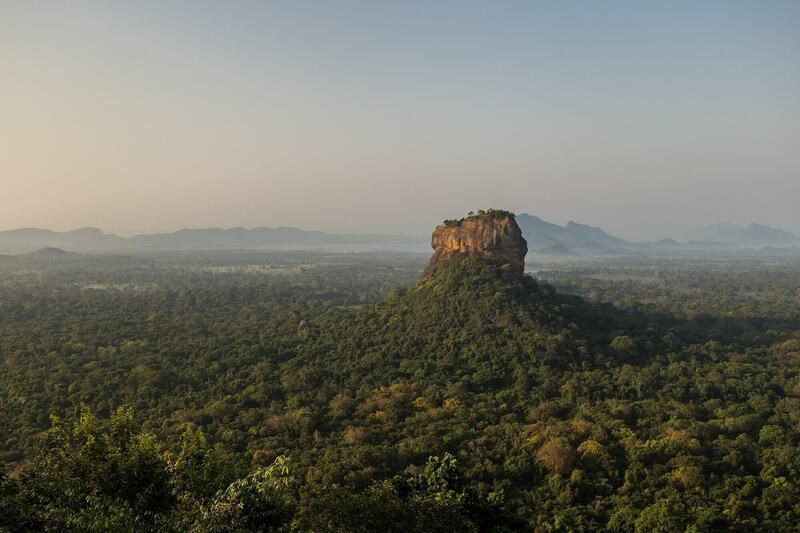 Sigiriya or Sinhagiri (Lion Rock Sinhalese: සීගිරිය, Tamil: சிகிரியா, pronounced see-gi-ri-yə) is an ancient rock fortress located in the northern Matale District near the town of Dambulla in the Central Province, Sri Lanka. The name refers to a site of historical and archaeological significance that is dominated by a massive column of rock nearly 200 metres (660 ft) high. According to the ancient Sri Lankan chronicle the Culavamsa, this site was selected by King Kasyapa (477 – 495 CE) for his new capital. He built his palace on the top of this rock and decorated its sides with colourful frescoes. On a small plateau about halfway up the side of this rock he built a gateway in the form of an enormous lion. The name of this place is derived from this structure —Sīhāgiri, the Lion Rock. The capital and the royal palace was abandoned after the king's death. It was used as a Buddhist monastery until the 14th century. Sigiriya today is a UNESCO listed World Heritage Site. It is one of the best preserved examples of ancient urban planning.